Indian Institute of Toxicology Research is a research organisation which is constituted from laboratory of Council of Scientific and Industrial Research. It is involved in the research of toxic chemical which mitigate problems to human health and environment. It also looks after the operations of industries which run their business in chemicals which are harmful to the environment, in order to make precautions about hazardous chemicals. Recently IITR issued a recruitment notification that mentioning 40 vacancies in the discipline of project fellow. Individuals who possess post graduate degree which is relevant to chemical science are eligible for this research vacancy in csir. Eligible candidates may apply online by following the advised instructions before the closing date for application. Willing candidates must possess master’s degree of science (M.Sc) in any one of the disciplines Chemical Science, Biological Sciences and Bioinformatics, with an aggregate minimum of 55% marks in that degree. 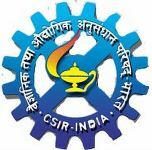 Candidates up to an age of 28 years as on 8th March 2013 can apply for this project fellow vacancy in CSIR. Age relaxation is available as 3 years for OBC and 05 years for SC/ST category candidates. Deserving candidates will be selected based on the performance in the written exam conducted by 'CSIR-Indian Institute of Toxicology Research' at their venue for duration of one hour. Selected applicants will be appointed as project fellow in any of the above mentioned discipline with a fixed fellowship salary of Rs.16000/- per month. Interested aspirants can apply online by logging into the official website of IITR at www.iitrindia.org. In the online application fill all necessary details and take a copy of it for future reference. After that you have to appear for written exam with one set of attested copies of all the relevant Certificate and Two passport size photographs on the specified date. The written exam will be held at the IITR venue "CSIR-Indian Institute of Toxicology Research, M.G. Marg, and P.O. Box 80, Lucknow-226001".